iPad Drop Down Menu Navigates for iPad Website. 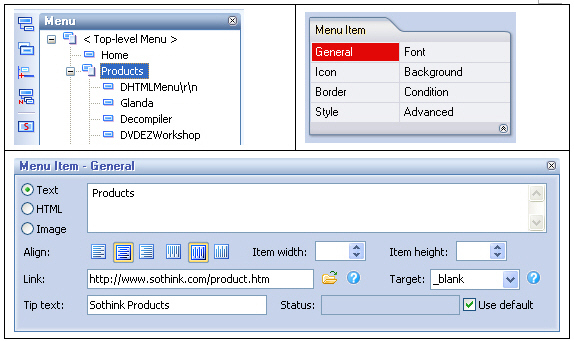 You are here: Sothink.com > Products > Sothink DHTML Menu > How to Make Drop Down Menu for iPad Website? iPad is being hot sales of millions of iPad in weeks since its release, iPad time is overwhelming arrival. As we forecast, iPad will be warm up in the future, are you ready to do something to make your website become iPad website, and satisfy with your iPad visitors? Absolutely need, the sooner the better. Let’s change the traditional website to iPad website from now. First, we start with iPad drop down menu. As we know, the iPad has the characteristic of landscape and portrait mode, your iPad drop down menu must works well in both modes. For iPad web design, keep two things in your mind, you should set the width in percent instead of the fixed in iPad web page; re-sizing browser window is unavailable in iPad website. Launch Sothink DHTML Menu, template windows opens; and choose iPad drop down menu "Clean" under the category "Business". After the iPad drop down menu display in the preview window, you can set the menu width in percent for iPad website of landscape and portrait mode. Check "Global > General", and set the width in percent in below property. Modify the text and link to be your own website. 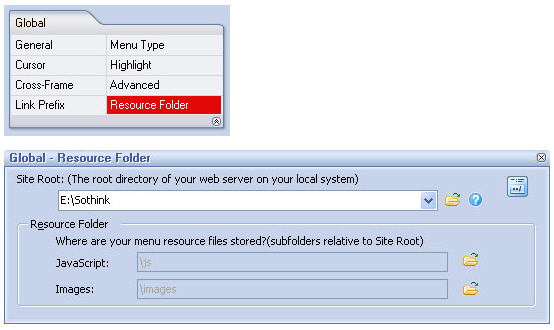 Click the text on menu panel, select the option "Menu Item > General", and edit the text and link in below property panel. Check the button on the toolbar to publish your iPad drop down menu. Finish the above steps, your drop down menu has been shown on the iPad website. Making iPad drop down menu, you should pay attention to step 2, it is vital setting to make the iPad drop down menu perfectly displayed on iPad web page.